What is the National Poultry Improvement Plan (NPIP)? The National Poultry Improvement Plan (NPIP) was developed in the early 1930’s to help deal with the issue of Pullorum Disease and Fowl Typhoid in poultry in the United States. At that time, up to 80% of all baby poultry were dying from infection by Salmonella pullorum, the bacteria that causes Pullorum Disease. Thankfully, Pullorum Disease and Fowl Typhoid in the United States has been eradicated because of the diligent work in those early years and the development of the NPIP. In addition to Pullorum and Typhoid, the NPIP expanded to include testing and monitoring for other poultry pathogens: Salmonella enteritidis, Mycoplasma gallisepticum, Mycoplasma synoviae, Mycoplasma meleagridis, and the H5/H7 strains of Avian Influenza. It is important to note that participation in the NPIP program is completely voluntary, but many states require that poultry shipped into their state is coming from a Pullorum-Typhoid clean state. Participation and designation in the additional classifications helps to further instill confidence that your poultry are healthy. 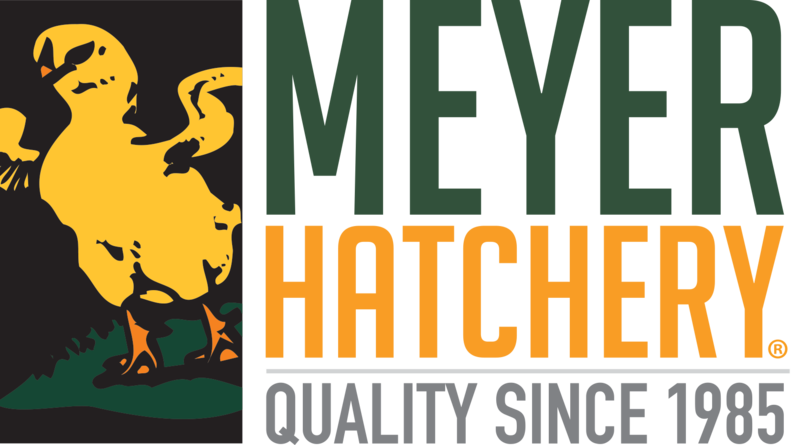 Here at Meyer Hatchery, we are certified Pullorum-Typhoid clean, H5/H7 Avian Influenza clean, and Salmonella monitored by the NPIP state of Ohio NPIP department. Do you recommend the Marek's Vaccination?